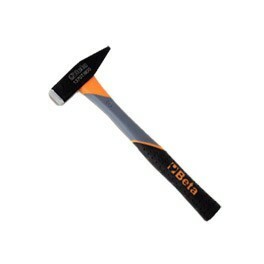 The chisels and hammers Beta offer a good grip, excellent handling, functionality, suitable for any kind of manual activity. Hammers of German Mechanical type with wooden handle really special for professional use, from easy, convenient and practical non-slip grip. We also sell also handles parts for any eventuality, really at very attractive prices, while with us you can always find each item that you are looking for professional and every tool at the lowest price. We also offer a wide range of hammers with round head and ball pen for boilermakers, but also hammers German-type fiber synthetic handle for easy handling and always slip ergonomic grip for a secure and successful. Always we have for sale for mechanical hammers French with fiber handle or if you prefer with wooden handle depending on your preferences and your needs and habits. Bricklayers hammers Beta , various hammers for construction works.